you are reading this blog for the first time, I want to say, “welcome to my blog”. This blog is called “www.gisttomemedia.com. (Please take note of our web address). It’s a school where I teach internet business from scratch. I also show my readers legitimate ways to make money online at the comfort of their homes. There are many ways you can make money online, but one of the ways is from blogging. 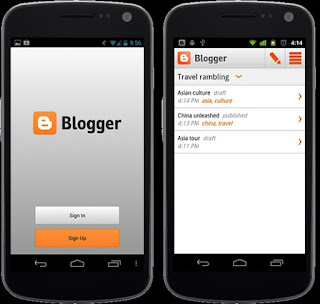 So, if you will like to make money online, you may need to become a blogger have your own blog. I will teach you how to create a blog using the Blogger. You will use that single Google account to have access to all Google products such as Blogger, GMail, Google Doc, Google Earth, AdSense, YouTube, FeedBurner, Google Drive and many more. I overheard it in Google product forum that Google AdSense team does not accept .Blogspot blog again in their AdSense acceptance. So, you may need to get a domain name at namecheap or bluehost.